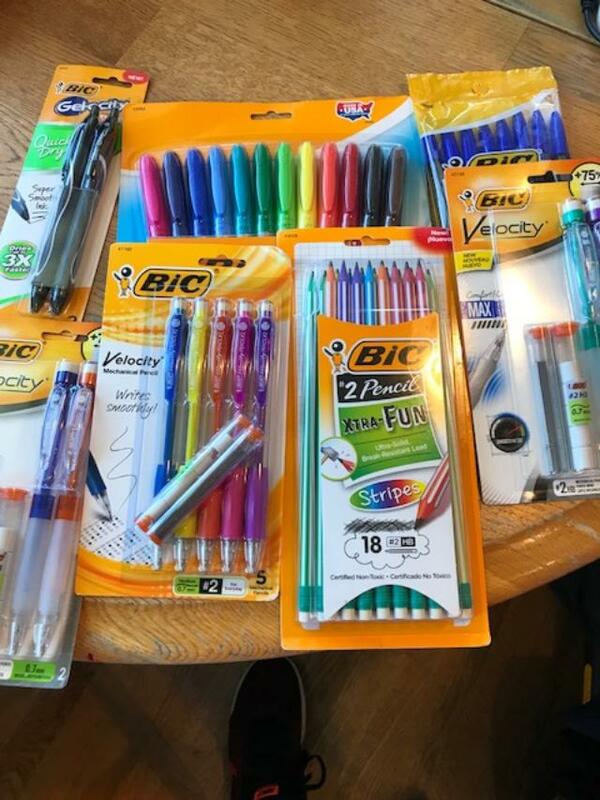 If you’ve been reading So About What I Said for a few years now, you’ll know that I host an annual BIC office supplies giveaway around this time! 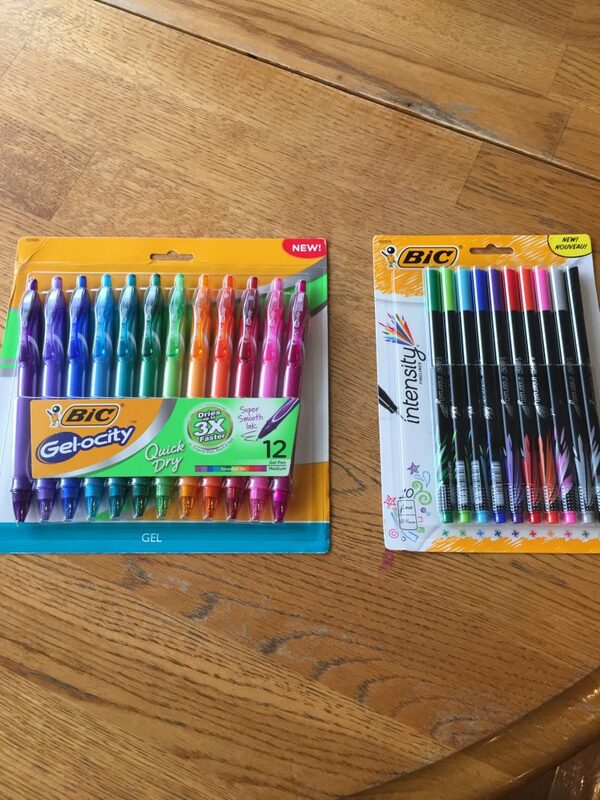 Since 2012, I’ve partnered with the amazing people at BIC, which covers all your writing needs — everything from pens to pencils to highlighters to colorful erasers — and their entire product line is pretty spectacular! BIC is also on a mission to celebrate handwriting, which, thanks to the wonders of technology, has fallen by the wayside over the years. 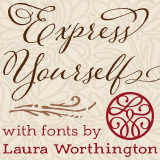 I love the company’s Handwriting Hub — a place full of activities and writing tips! Did you know that handwriting engages abilities such as visual focusing, receptive language, memory recall and spacial perception? As a writer, you can probably guess just how much I love all their products! And their Back-To-School 2017 collection doesn’t disappoint! • Gel-ocity Quick Dry: Comfortable full-grip barrel that comes in vibrant, fun colors. Also, provides a super-smooth writing experience! • Intensity Fineliner: The perfect pens for writing, doodling, drafting and even adult coloring! 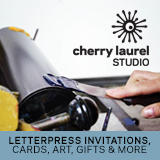 The vibrant colors and bold, crisp writing won’t bleed through paper. • Velocity Max Pencils: The soft gel grip molds to your hand for the smoothest, darkest writing. Includes extra lead and erasers. 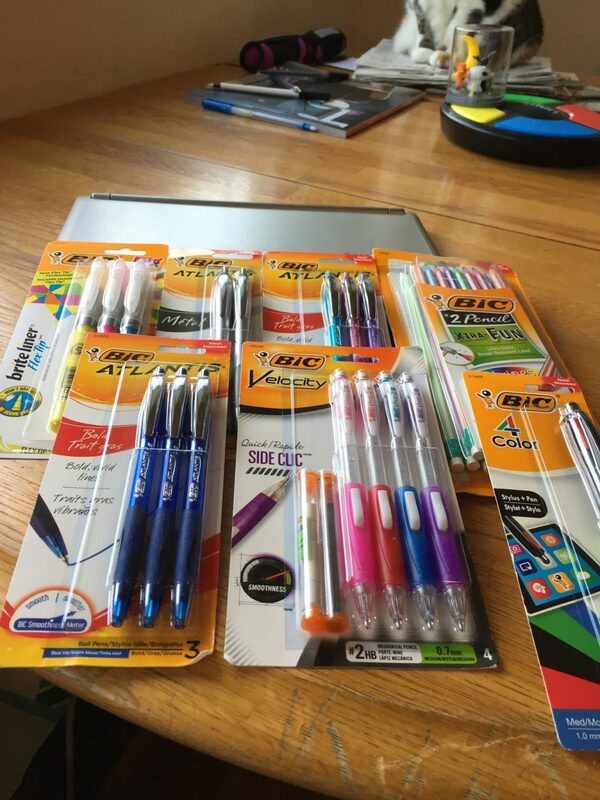 Whether you’re heading back to the classroom this fall or need to restock your office supplies for work, BIC surely has something for everyone! Update: Congrats to winner Shareena! Thanks so much!!! Oh, friends!! 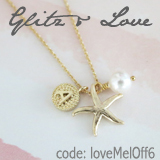 I’ve been dying to share today’s giveaway with you! 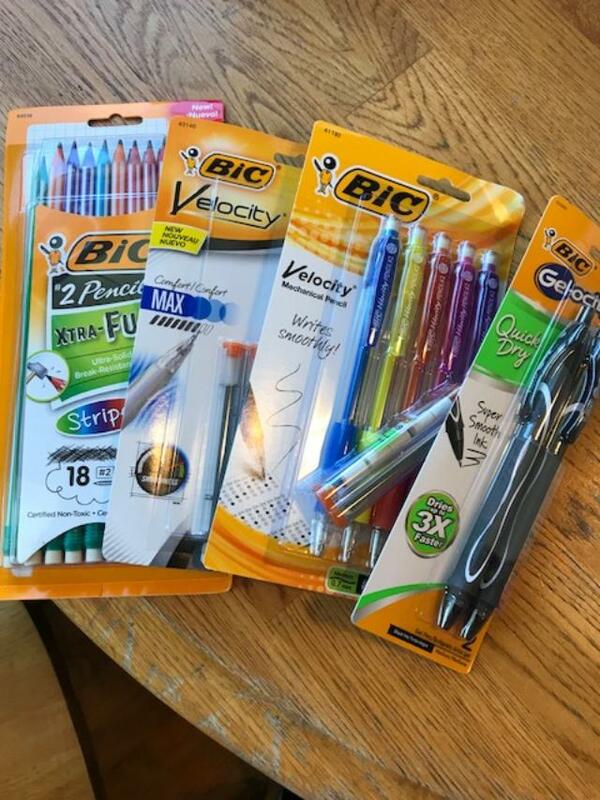 For the fifth year in a row, I’m partnering with BIC for an Office Supplies Extravaganza Giveaway! 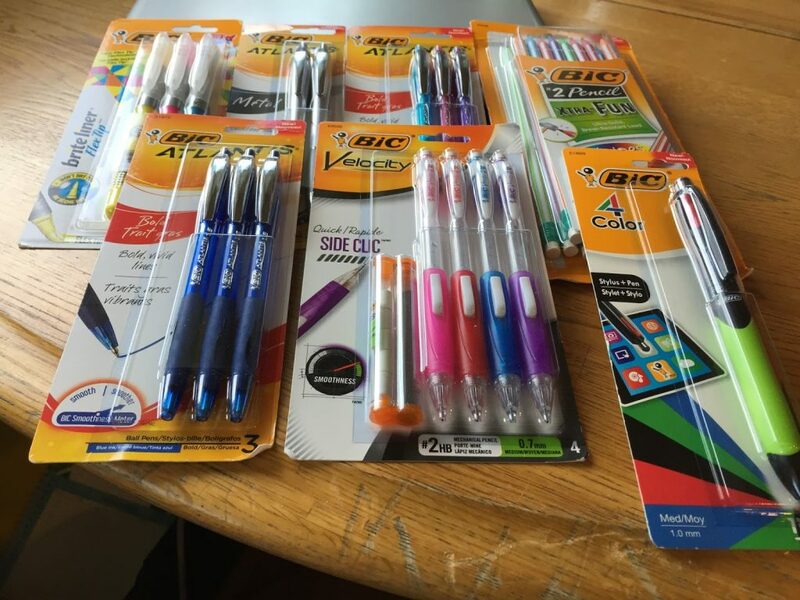 BIC has become synonymous with all things writing, from pens to pencils to highlighters to colorful erasers, but it’s their Fight For Your Write campaign, which highlights and celebrates the importance of handwriting and writing in general — obviously, something I hold VERY near and dear to my heart! 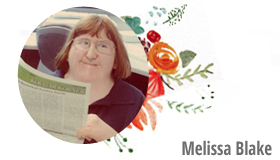 Where would I be — or, who would I be — without writing in my life?? Scary thought. Writing is an important vehicle for communication because it distinguishes us and promotes individuality. Did you know that writing is also a critical learning tool for children? Writing helps kids become better readers, boosts their confidence and sparks their creativity. Together, we want to show children just how great writing can be…and how great they can be! 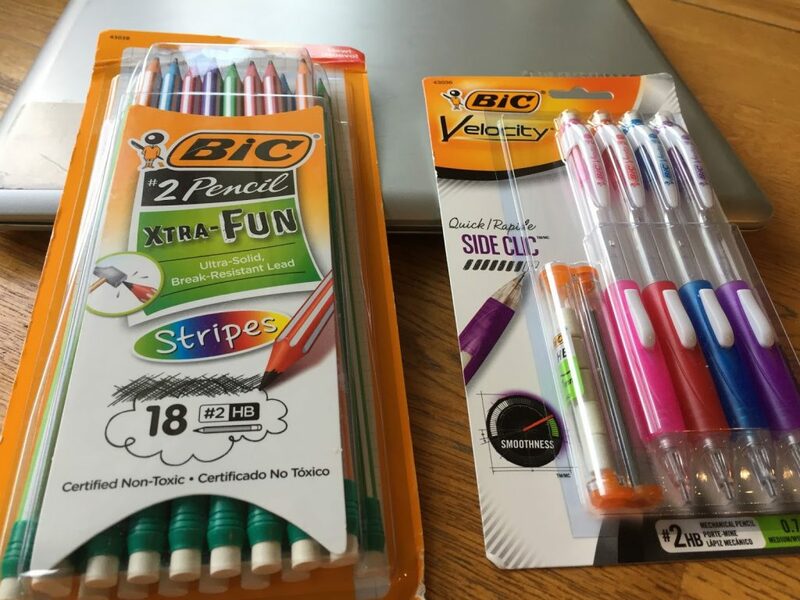 –BIC XTRA Fun #2 Pencils with Stripes: The latest #2 pencils from BIC now come in a variety of bright, two-toned color barrels with stripes! 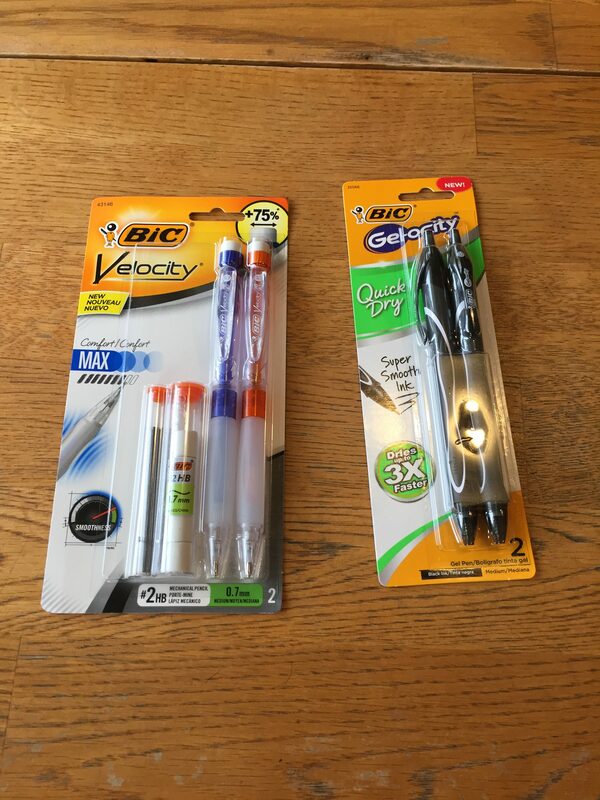 –BIC Velocity Side Clic Mechanical Pencils: BIC’s newest Velocity pencils feature smooth, dark leads and come in variety of translucent, vibrant colors. 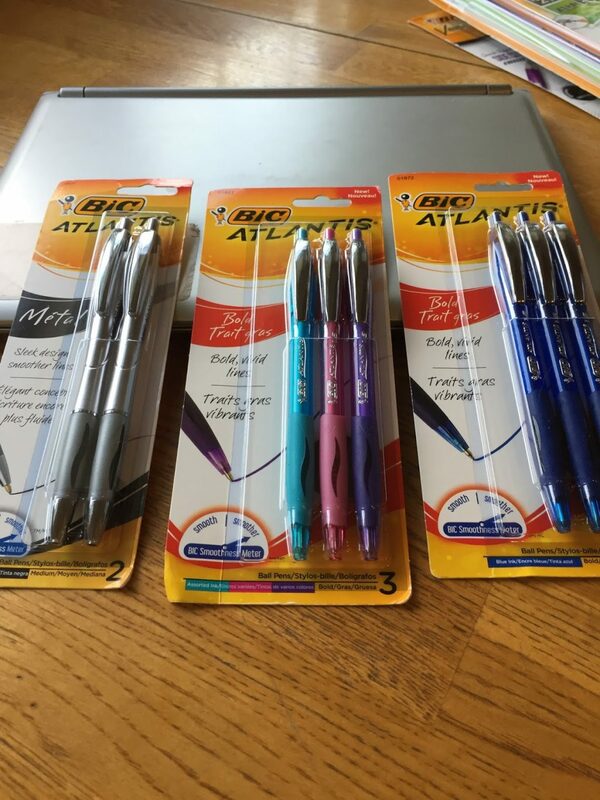 –BIC Atlantis (Color, black and blue ink packs): Comfortable, rubber grip offers a bold, vivid writing experience. 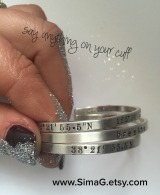 Even smoother than BIC classic ink system! 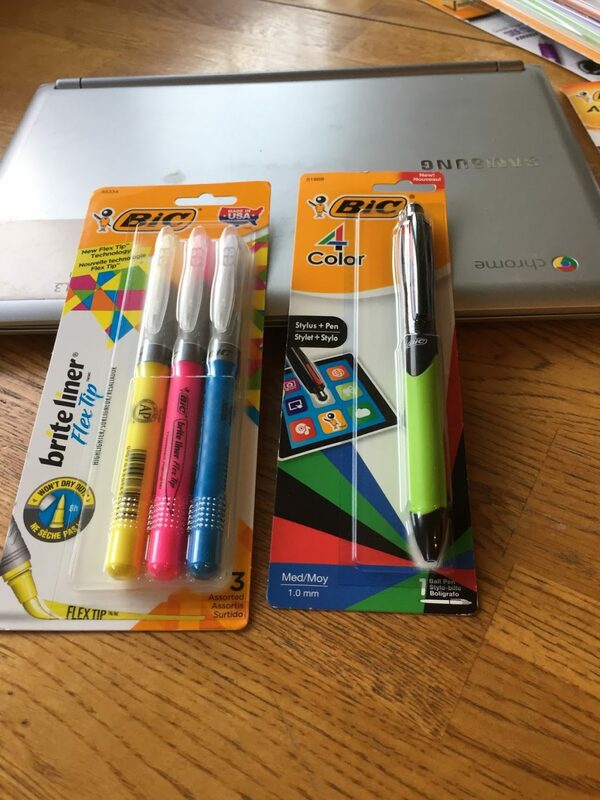 –BIC 4-Color Stylus and Pen: The beloved BIC 4-Color Pen is getting an upgrade in 2016 with the addition of a lightweight stylus! –BIC Brite Liner Flex Tip Highlighter: The new, flexible tip technology makes highlighting fun and easy! I’m excited to share more finds from Groupon Coupons today, friends! One of the things I’ve realized in all my years of being a semi-shopaholic? My “fun” purchases usually revolve around three things: Lip balm, school supplies and candy. That’s it! After all my essential expenses are paid for the month, I’ve been know to treat myself on one of my classic Target Trips. My mom always used to call it “fun money” and I think she’s right! And what’s even better than shopping, you ask? Saving money while shopping for the things you love. LIP BALMS — Chapstick’s Total Hydration in Honey Blossom, Lip Smacker’s Juicy Jelly Bean and NIVEA’s Mint and Minerals. 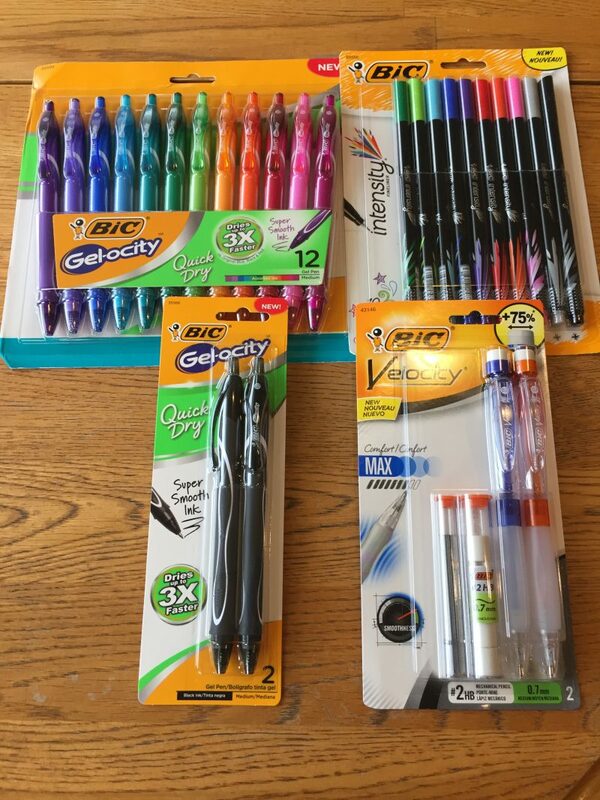 SCHOOL SUPPLIES — Sharpie pens, colorful binders and daily planner. CANDY — PEZ, Sour Patch Kids and M&Ms. With summer winding down (insert crying emoji), I’m slowly working my way back to my school year work routine. In addition to limiting myself to two episodes of Angel each day, this routine includes heading to the campus library a few times a week. I went a handful of times during the summer, and the scene was calm and quiet — picturesque, even. And then, thousands of students descended on my tranquil paradise like flies drawn to a summer picnic. They came back in droves today — the students, not the flies. Now, I don’t begrudge them an education, of course; I applaud furthering your education and am thoroughly pro-knowledge. But between the crowds, scared freshmen and the loud college band across from the library, it was all a lot to take in! Sensory overload, anyone?? It’s a new beginning: It’s so easy to get bogged down by the stresses of life, but this time of year, everything just feels fresh. It’s like you’ve been given a clean slate and you get to start over. Whatever happened in the past? It’s time to put it behind you and LET IT GO!! It’s a chance to learn something new: What about that hobby you’ve always wanted to pick up? Now’s the perfect time. And I bet it will actually make you feel like a whole new person — an added bonus, for sure!! It’s all about the nice weather: Hello! Who would choose the cold winter over the warm weather of the late summer? OK, my mom probably would, but she’s probably one of the only ones! I mean, the weather right now is just so inviting — crisp air, leaves starting to change color, warm sunshine! It’s a summer lover’s paradise, I tell you! It’s days like these when I actually don’t dread going outside. 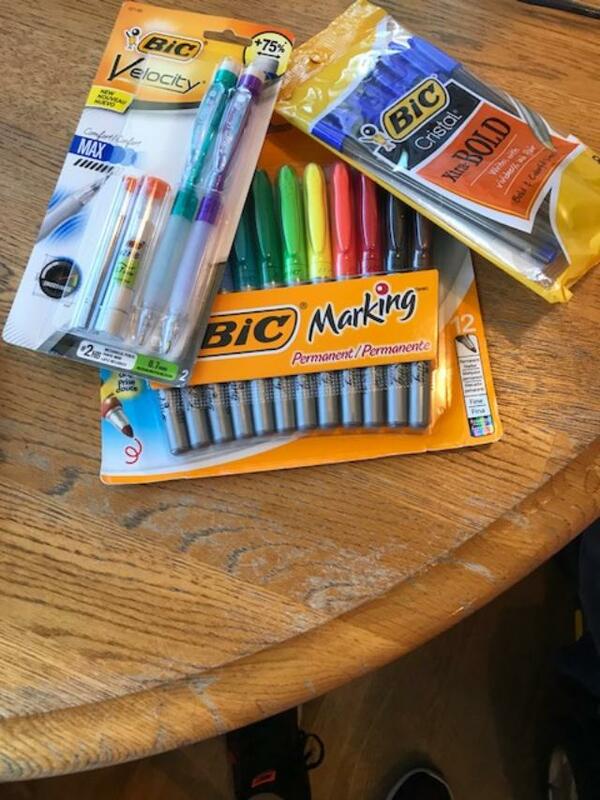 The school supplies are all over: I’m a self-proclaimed supply-aholic. Some people go nuts during Fashion Week; I’m tempted to drain my bank account every August and fill my room with all kinds of pens, pencils and notebooks. I’m still kicking myself for not buying the Wonder Woman notebook I spotted at Target last week!